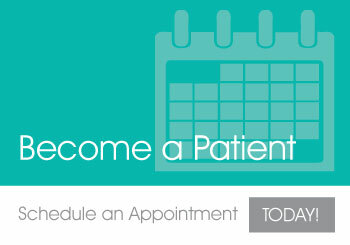 If you’ve ever been to my clinic, you know there’s one thing I talk to all my patients about at each visit…. Their poop! Bowel habits are so important to help cleanse the toxic waste products out of our system. If bowels are hanging around in the colon longer than 24 hours, their likelihood for getting toxins reabsorbed by the body is increased. 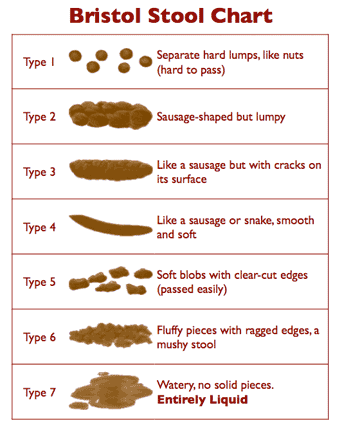 Medical providers look to the Bristol Stool Chart (see below) to help people describe their stool consistency. Stool is classified from Type 1-6, with type 1 being more firm “rabbit pellets” and constipating to type 6, describing loose, watery stools. Type 4 on the Bristol chart is soft and smooth, typically representing a person that has daily bowel movements. Stool patterns and experiences develop early on as a child. It only takes 1 hard, painful, bowel movement for a child to fear pooping. As a child, they don’t realize that the longer the bowels hang around in the colon, the harder the stools get. As we get older, we can become used to this irregular bowel pattern, coupled with a typical “Standard American Diet” (high in processed, fortified, carb laden foods) , we walk around holding our bowels longer than we should. Many worried parents take their children to their primary care provider for help, and end up leaving the office with a prescription for Miralax (a polyethylene glycol (PEG) drug) to help stimulate bowel movements. What’s so Crappy about Miralax? Technically, Miralax (PEG) is an osmotic laxative which blocks the absorption of nutrients in the small intestine. 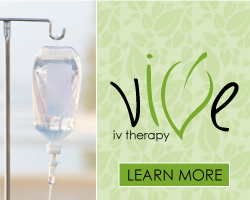 Its extended use may result in severe malnutrition-related disorders, particularly in young children and older adults. There has actually been warnings from the FDA about neurocognitive side effects from its use. 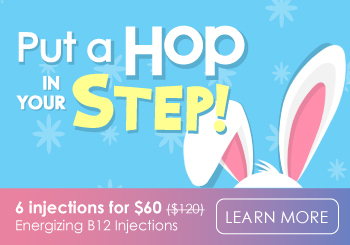 It’s also important to note that the dosage list reports use of Miralax no more than 7 days, the Miralax website FAQ page reports “MiraLAX® generally produces a bowel movement in 1 to 3 days. Once you experience relief, you do not need to continue taking MiraLAX®. You should use MiraLAX® for no more than 7 days. If you need to use a laxative for longer than 1 week, stop use and consult your doctor”. When I talk to my patients that have been on this in the past, they are put on it indefinitely without the known risks ever explained. The results of this chronic irritation of the intestines can lead to what some people call “Leaky Gut” or gut dysbiosis. When our intestines are inflamed we don’t absorb nutrients as well and it opens up a gateway for more serious illnesses including autoimmune disease, skin disorders and more. So hopefully after reading the above, you’ll want to ditch the Miralax and get your bowels moving in a more sensible way. As with all health conditions, looking at the diet can be the first and most crucial step to having daily bowel movements. A lot of times dairy and gluten can be binding, constipation, gaseous, bloating and uncomfortable. Removing dairy and gluten from your (or your child’s) diet for 4 weeks can easily give you a gauge on how much these common culprits are affecting the body. 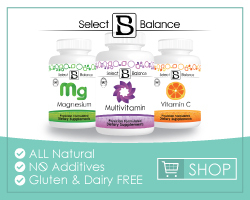 Get your bowels moving daily with natural supplements such as Magnesium & Vitamin C. No need for chemicals or preservatives. I recommend Move Eeez Powder (also comes in caps). It’s an excellent formula for detoxification. Free of artificial chemicals and preservatives, colorings and artificial sweeteners. Help make your gut a great environment…. because gut health is really full body health. Research is now saying our immune system lies within our gut and there is a definite connection between our gut, brain and all bodily functions. You can make your gut healthier by take a good probiotic every day. Probiotic Recommendation For general health, taking a probiotic with bifidobacteria and lactobacilli are great starting points. 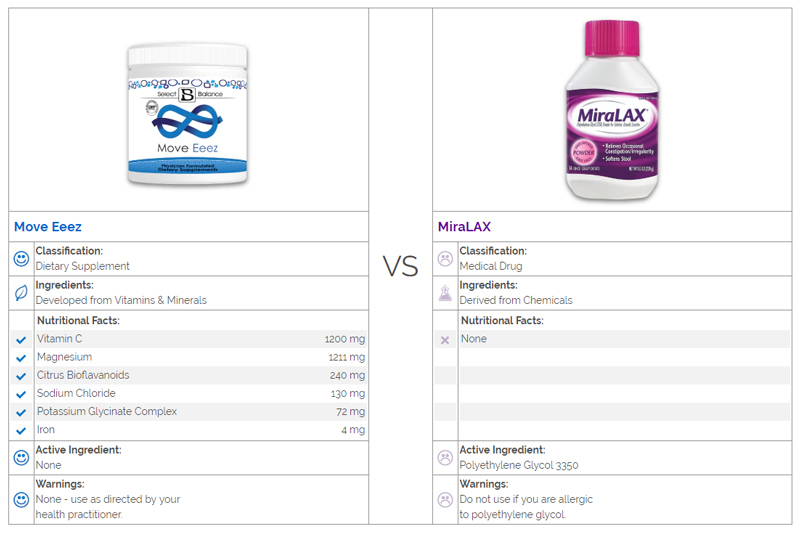 Now that you know a little more, cut the crap… stop Miralax and switch to more natural, effective options.